A Clane woman who lost her child during pregnancy is spearheading a project to create a baby loss memorial garden in Clane. It is planned to formally open it some time this month behind the Roman Catholic Church of St Patrick and St Brigid. Ciara decided to create a memorial space for babies. “Some of us don’t have places to go for our babies." Ciara now has 225 memorial stones, with the babies names on them and the garden will have colorful plants and a memorial stones. She found it very difficult to cope with the loss and the lack of recognition among others. 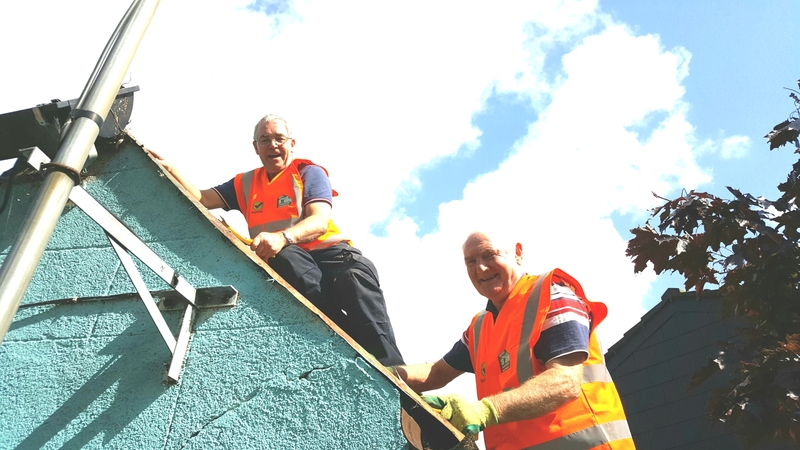 “My intuition is that it was a little girl and I have called her Charlie,” said Ciara, whom the Leader met at the the site which is being prepared by members of Clane’s Men Shed, aided by Ciara’s boyfriend, Damien English. “The Men’s Shed have been brilliant,” she said. “When I lost my baby after seven weeks, it was devastating. Afterwards I found a whole community of grieving mothers and fathers,” she said. The idea is that both men and women who lost children can have a place to go. Since going on social media, Ciara has had contact with people from both Ireland and abroad who empathise with her plan. Ciara’s friend, Courtney, lost a baby in similar circumstances and has called her baby, Carter. The plan is to have stones with the names of the children on them. There will be a limit on the number but so far 225 are being prepared. “We want the garden to have wonderful colour,” said Ciara, who lives in the Loughanure area. She and others have raised money through a Go Fund account from bake sales and church gate collections and have raised €1000 so far. Ciara said she approached Coillte about having a memorial in Donadea Forest Park but it has stopped allowing them because they were being inundated with requests and had problems with vandalism.